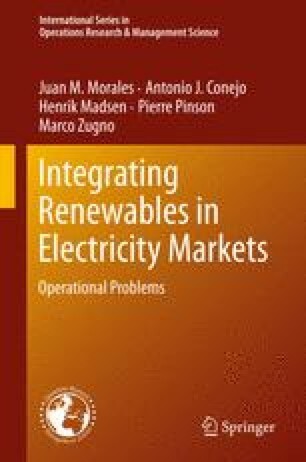 Short-term forecasts of renewable power generation are a necessary input to nearly all operational problems in electricity markets. For instance, both market and system operators may use them for the clearing of day-ahead and real-time electricity markets. In addition, market participants rely on forecasts for determining their optimal offering strategies in view of uncertainties brought in by renewable energy production. The various forms of renewable power predictions are introduced here based on real-world examples. Special emphasis is placed on probabilistic forecasts in their general form and to scenarios mimicking spatial and temporal dependencies, as well as potential dependencies among different types of renewable energy sources. The way forecasts are issued and subsequently evaluated is also covered.